*At the end of this post is a video clip of Dr. Rodney Ford talking about eczema and gluten sensitivity that you might be interested in watching. Toss together the thawed hash browns, oil and seasonings. Press into a 9 x 13 pan. Add fresh spinach (I did not blanch it, as called for in Nick’s recipe) and eggs to a blender or food processor (I used my Vitamix). Puree until smooth. Add milk and cream (or substitute) to the spinach/egg mixture and puree until combined. In the shredded hash brown lined pan, sprinkle with ham (or sausage) and cheese. Pour the spinach/egg custard over the hash brown, ham and cheese layer. Bake at 325º F. for about 55 minutes, then check for doneness. A knife inserted in the middle should come out clean. 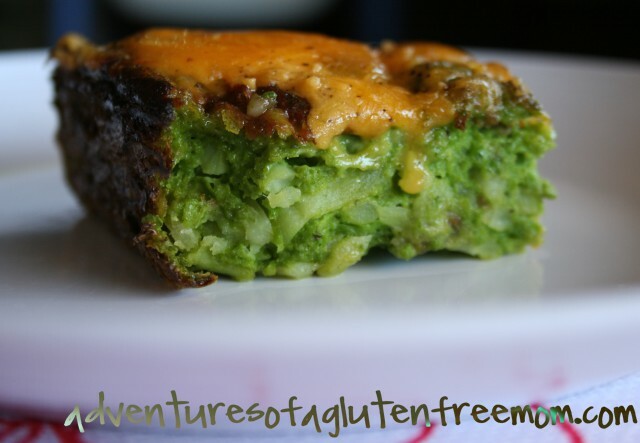 Linda is doing a Gluten-Free Cake Challenge for this month and that is more up my alley! Be sure to check it out for what I am sure will be some very amazing recipes! Speaking of gluten-free cakes, did you see Jeanne’s Tres Leche Cake over at Four Chickens? Yummy. Good post! 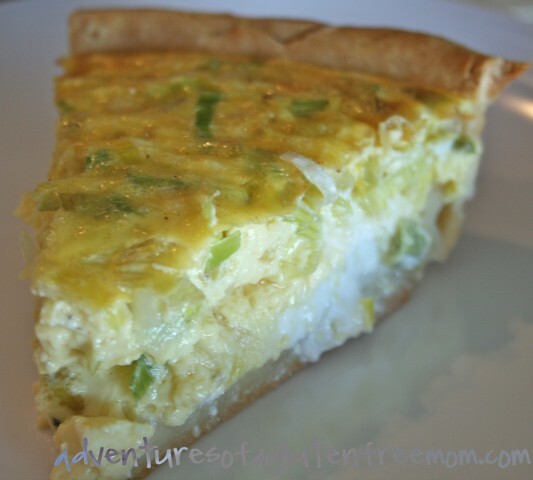 Love your quiche idea. I love quiches, but if there is anything other than meat and cheese in it, my kids and husband won't eat it! Boo on them, huh? More for me, I say. Definitely going to go read what Ron Hoggan said on your previous post. I have never read that book, but see it referenced time and time again. Maybe I need to! I love your really-green (naturally!) quiche. Whatever makes the food interesting to the eaters…is how you need to cook it . However, I don't know why they wouldn't like the Goat Cheese and Leek quiche just as well. It sounds wonderful to me. Dr Rodney Ford's little video is intriguing. I think it might reach some people who aren't willing to listen otherwise. I just ordered Ron's book myself, I can't believe I haven't read it yet either! Pat: What I like about Dr.Ford's videos, is how easy it is to understand what he is saying, especially for a non-medical professional like myself. I have two more videos of Dr. Ford on my "videos" page (see navigation bar), and I love the second one, with the Lego demonstration. I am a visual learner and that was extremely helpful for me. I've made a quiche with a crust of potatoes I shredded, but haven't had a chance to post it. It's very similar to your crust. I like your green eggs and ham idea. It looks delicious. I won't start getting CSA goodies for a couple of weeks, but I can't wait. I'm new to the CSA program and from what others have told me, I'm pretty lucky to have access to a year-round CSA program! Some stuff does come from out of state though. My eczema is related to my celiac disease as well. I have had eczema all my life but it got ten times worse when I was at my worst with the undiagnosed celiac. I had huge welts of eczema across my torso. After diagnosis and a gluten free diet for all these years it is much better. I still get it though as it seems to be triggered by other things, esp strawberries. Heidi! I've been out of the loop for a few days. 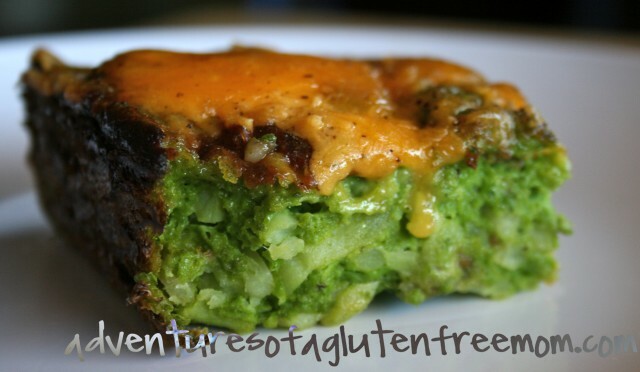 Love your re-design, and I am so making this green quiche. Never thought I would be experiencing Green Eggs & Ham again, but this looks naturally wonderful! Your family doesn't know what they're missing with quiches – I make them all the time and I think yours look delicious! I am way out of the loop and I still owe you an email as soon as I dig myself out of this re-design.